Ever notice how sound is different underwater? Whether you’re swimming, snorkelling, or scuba diving, as soon as your ears get below the waves everything sounds strange. You can’t tell what direction sound is coming from, or how far away it is. You hear high-pitched sounds you miss on land. And you’re suddenly deaf to low rumbles you’d normally hear. What’s going on? It works like this. When you’re on dry land, sound travels in waves through the air. When those waves reach your ear, they vibrate the tiny audio bones in the inner ear. Now go underwater. The sound waves don’t move through the air, they move through the water. 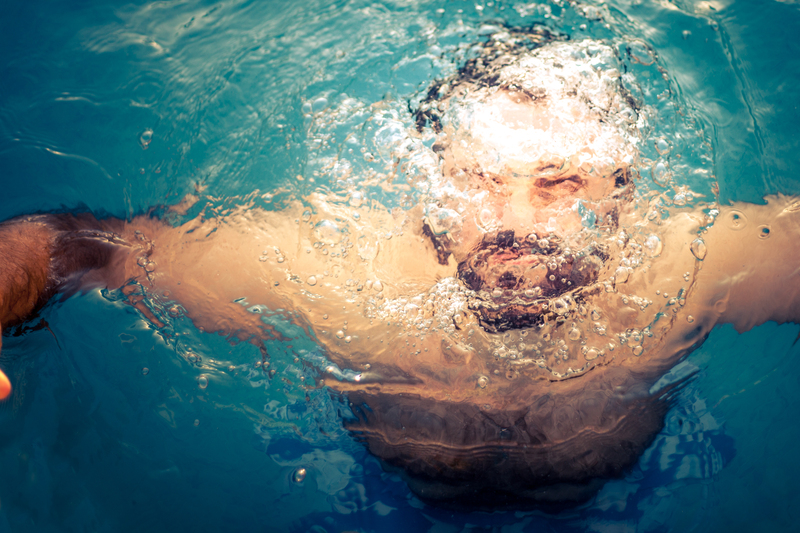 Sound waves actually travel five times faster in water than in air. Underwater those sound waves don’t vibrate the ossicles bones in your inner ear. They go straight to the skull bones, vibrating that heavy bone you can touch just behind your ear. Because of that, you can hear higher frequencies underwater. You lose lower ones. And you can’t figure out the direction sounds are coming from. But why does sound underwater go straight to the skull bones? Well, that brings us back to the fact you’re mostly made of water. When you’re on dry land, sound moves through air and hits your fleshy ear. Air is so different from flesh that the sound waves are able to vibrate off your fleshy bits. Underwater, your fleshy bits might as well be just more water as far as the sound waves are concerned. That’s because you’re made of water. On average, 65 percent of you is H20. To a sound wave, your watery flesh is nearly the same as the water around you. So the sound waves can’t vibrate strong enough in your flesh. They have to keep going until they hit something different enough to get a good vibration. They keep going until they hit the thick skull bones. That small percentage of you that isn’t made of water is what lets you tune into the world under the waves.